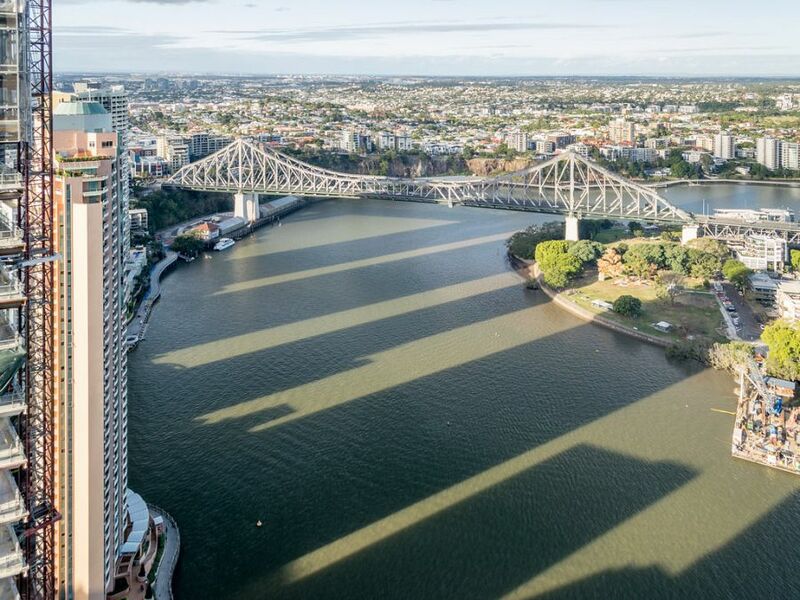 QUEENSLAND may be the “Sunshine State”, but parts of Brisbane are at risk of the “canyon effect” as a glut of high-rise apartments spring up around the city. Griffith University’s Dr Tony Matthews told the Courier-Mail that means permanent shadows, more wind tunnels, and microclimatic changes where there is extreme heat and cold at ground level between tall buildings. Brisbane City Council’s Urban Renewal Plan includes approving clusters of apartment buildings within proximity to major transport hubs. Recently, there has been a heavy concentration of high rise apartment developments in Fortitude Valley, Newstead, the West End and the CBD — and it’s likely to continue. A Brisbane City Council spokeswoman told the Courier-Mail effects such as shadowing and the creation of wind tunnels are considered during the application process. “Council also has a range of Neighbourhood Plans across suburbs in the inner city, to provide residents with the chance to provide feedback on the future of their local area, consider infrastructure requirements and assess environmental impacts,” she said. She also said they consult with local residents on the impact of new buildings. In addition to environmental concerns, there are fears the construction boom could cause real estate prices to plummet around the city. Last year, Dr Lyndall Bryant from the Queensland University of Technology told the ABC the number of new apartments was “staggering”, and that she calculated as many as 50,000 apartments could be added to the city’s skyline. She said she believed Brisbane was nearing its saturation point. However, there are mixed reports about oversupply. A survey of 26 housing experts and economists conducted by comparison website Finder.com indicated they believe there is an oversupply of apartments in the city. One of the experts, AMP Capital chief economist Shane Oliver said prices were “already coming off the boil” — indeed, data from the Domain Group shows the city’s median apartment price fell 5.7 per cent in the three months to December. However, Bruce Goddard, from Place Projects real estate told the ABC in January the boom was part of Brisbane’s recovery from the global financial crisis, and that there were still plenty of tenants filling apartments are they were built.